School is a perfect time for young filmmakers to experiment with their own projects outside of class. You have easy access to peers, instructors, campus facilities, and other resources. Why not gather some gear and a small crew and make a short film based on one of your ideas? Even just shooting some one-off scenes to test out different lighting and camera compositions in various locations can help you broaden your palette as a visual artist. Of course, it’s not always just about art, and there are certain logistical concerns that you need to take into consideration before heading out into the field – namely the legalities of shooting in public spaces. Guerilla filmmaking is a risky proposition, and you’re always going to be better off by working through official channels when trying to produce your own projects. It’s actually a lot easier than you might think. 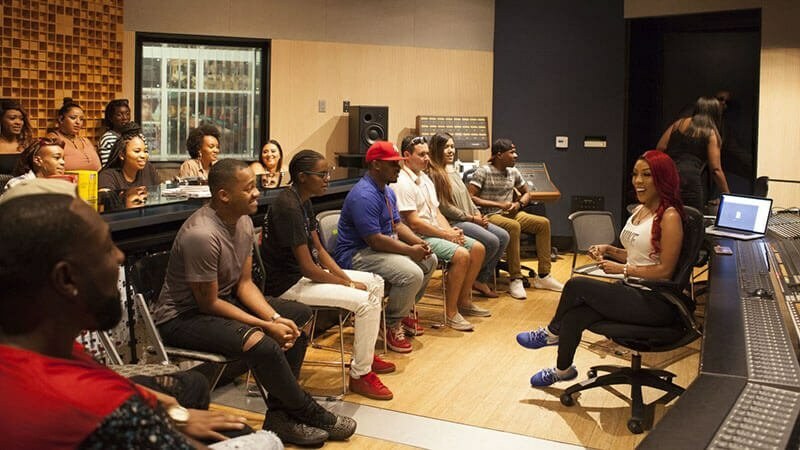 We recently spoke about this subject with Sheena Fowler, Full Sail Film and Entertainment Business graduate and Director of Film & Digital Media for the Metro Orlando Film Commission. While the rules vary from place to place, Sheena explained that local film commissions can often provide a number of options for those looking to produce their own projects the right way. Specifically for those in the Orlando area, we learned that their assistance can often come with some unexpected benefits. 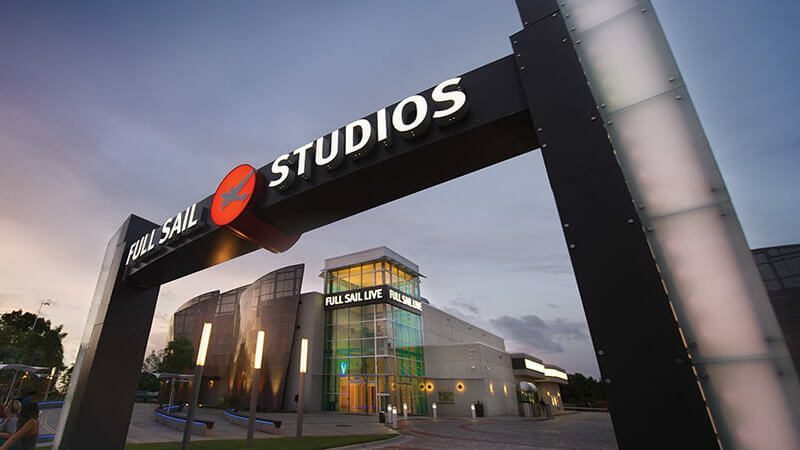 Full Sail: Are there any instances where it’s okay to shoot in public areas without a permit? Sheena Fowler: For us the rule is typically three or less total cast and crew. No sticks (tripod), no pyrotechnics, no crazy costumes, no weapons real or fake. If you have none of that and it’s really no different than what a tourist would be doing, you do not need a permit. As long as you’re not in anyone’s way, by all means. You just have to be smart, and it never hurts to call us and check. Sometimes people will call and say what they’re doing, and it’s right on the line. We’ll tell them to email us a description, and we’ll email back with the verbiage that says they do not need a permit – then you’ve got the stamp from this office. Sometimes that helps if somebody happens to approach you. You have something in your pocket that says you’re following the rules and doing it the right way. FS: What about productions that do require a permit to shoot in public, how do you go about getting one? SF: Our website has all of this laid out, so if you want to reference more you can go there. The permits are there too, and our office also doesn’t charge a fee. There are also other benefits of permitting with us. Say you’ve got a certain street in mind, but we know that there’s been three commercials shot back to back on that street – the residents are not going to be really thrilled again to have a crew there again. So we can actually help you match that street in a different location, and you’re going to have a better filming experience. We’re happy to help, and it’s the fun part of the job, trying to be creative and look at locations with folks. FS: Are private residences fair game? SF: A lot of times people will film at a private residence, and you don’t need a permit to film inside. But if you’re outside of it, and have crew standing on the sidewalk, or have equipment that will bleed onto the sidewalk – you’re going to need a permit for that. If you’re going to be parking three or more cars in the street, you’re going to need a permit for that. We need to be able to make sure that emergency vehicles are able to get through the street. FS: How long does the permit process take? Do people need to apply a few weeks out? SF: It’s five business days, and if you’re doing preproduction the way you should, five business days is plenty of time. I do try to stress that we are not the approving entity if you’re filming in the city of Orlando, we are working with them and they ultimately approve it, so be mindful of government holidays. A holiday is not a regular business day, and weekends don’t count. We try to make sure people are mindful of that. FS: What other legalities do student filmmakers need to be aware of? SF: A lot of communities in the country are tightening up their insurance requirements, and it’s non-negotiable. Some private property locations will require it, that’s up to the owner. Most public locations are going to have a minimum policy requirement. Some communities also need workers' compensation. It’s the same thing as car insurance, and if you want to do this the right way you’ve got to learn how to work with it. On our website we have a great resource called Filmbook, and there’s insurance agents in there. Shop around. They’ll work to get you a very skeleton policy that’s going to get you access to do what you want to do. One thing I also suggest is that if you know you want to produce several projects outside of school, get a group of people, throw some money together and purchase an annual insurance policy. Then you’re covered, you can do whatever you want for a year. FS: This is all great information for students in this area, but what about counties outside of Central Florida? SF: One of the things to remember is that all jurisdictions are different. What I’ve been saying is strictly for the Metro Orlando region. You always want to check in with your local film commission wherever you’re shooting to make sure that you’re following their local rules. We’re resources, that’s what film commissions are across the world. You want to know how to do this in your community? Call. We’re all here to cut through the red tape and walk you through it so you can focus on all the other million things that take place in order to produce films. We know that young filmmakers are finding their way, and we’re on your side.